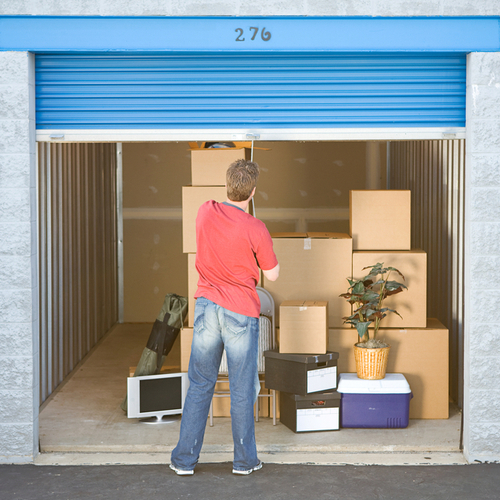 Now that the craze of prepping, shopping, and organizing the carloads of stuff that you send your college kid to school with are over, you’ll suddenly be needed to either bring everything back home or store it. Yes, the year goes by super-fast and you will be thinking, “I just moved them in”, and “how will we get all of that back home?” With the thought of packing cars to the gills again, you may wonder why you just can’t bring home the essentials and store all of the rest. If you are like me, I was not looking forward to cramming our guest room and garage with all of my daughter’s stuff and also deciding on what could be kept in the heat, and what really needed to come inside. We bared through all of this the first year, but got smart the second year and learned about storage facilities that were near campus. The first thing we discovered was that the farther from campus you go, the cheaper the rent is for a unit. Personally, we stuck with a place that was close by, as we felt it was worth it for convenience. Next, we learned the difference between “climate controlled” units, which simply means that they are air-conditioned, and not climate controlled. You already know that it gets very hot here, so you have to determine which items can withstand the heat and humidity if you choose a non-air-conditioned unit. I wouldn’t recommend putting bedding, clothes, or books in a non-air-conditioned unit, as mold and mildew can accumulate. Another option to cut the costs of a unit is to go in together with a friend. My daughter did this and it was great. We had made the rule that you don’t go to the unit by yourself or after dark, and this helped both girls to be a little safer. Note: most facilities close around 5 or 6, but their access to units remains open. Also, make sure you check out the security features of a place, such as working security cameras. Lastly, plan ahead. The sooner you reserve a unit, the less stressed you will be. Get your confirmation in writing to avoid any unwanted surprises as well. The units closer to campus will fill up the quickest, so I would plan a month or 2 in advance. And always ask if they have a USF student discount! Metro Self Storage on Fletcher Ave. and on Donna Michele Dr. in New Tampa- Check their site for web specials. CubeSmart Self Storage on East Bears and on N. 12 Street- They have online specials so check back frequently. Public Storage on North Nebraska Ave.
Life Storage – 815 E Fletcher Ave.
All of these places offer vehicle storage, so if you are from out of state, and your child has a car, you may want to store the car over some of the holidays as well.